We called it Paku in English is Fern the nerd name for it is Athyrium esculentum its edible, the fronds and fiddle heads are all a delicacies here. 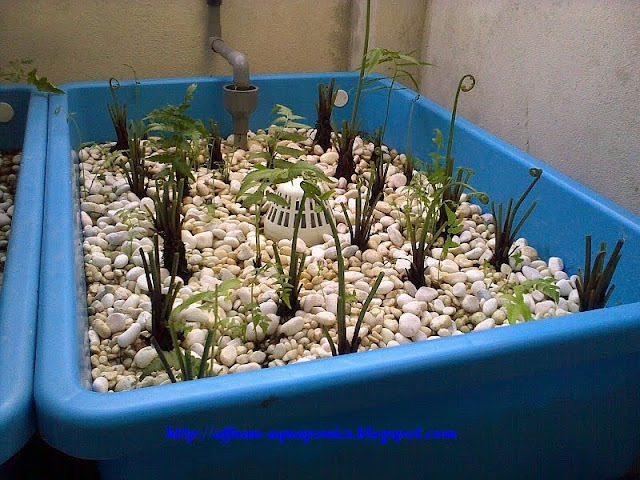 Fern among the first few plants I tried for Aquaponics, its water cleaning properties is good and rapid growth and ability to grow in shaded area and confine spaces make it ideal in my setup. I am dedicating this post to this plant, it sad for me to do but I need the space and all the Fern must go. 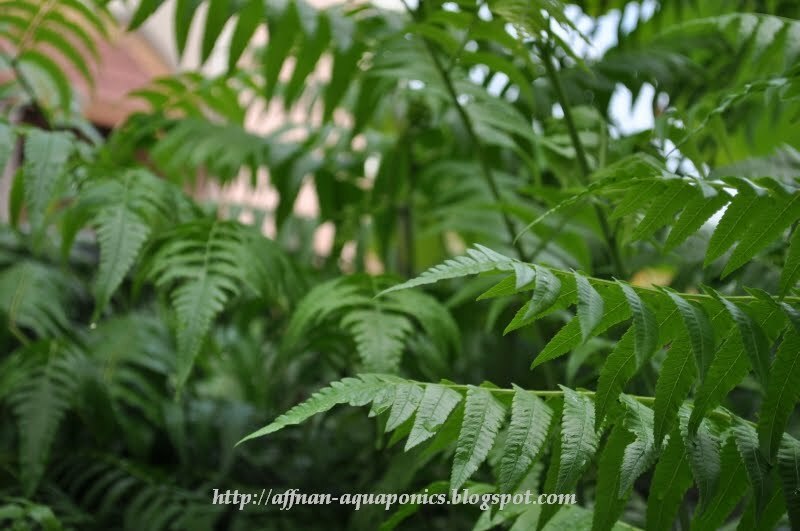 Fern in Aquaponics is such great plant and I like them a lot. Fiddle head above usually picked and stir fried is a delicacies and daily available from diners. I plant Fern from collecting whole plant in nearby streams, planted in growbed with only the roots part with most frons removed. 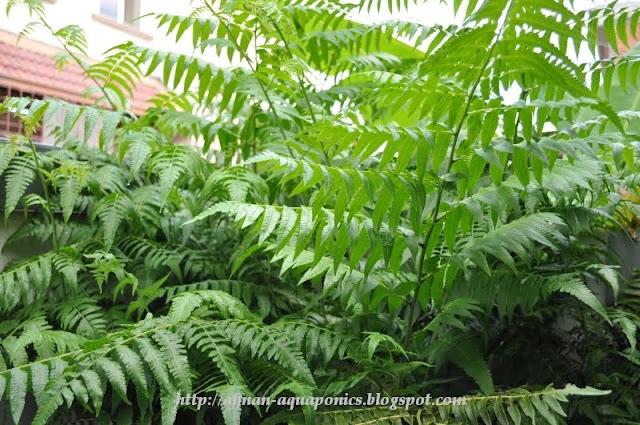 They will then grow into big fern with many fernlings sprouting out from roots stolon. 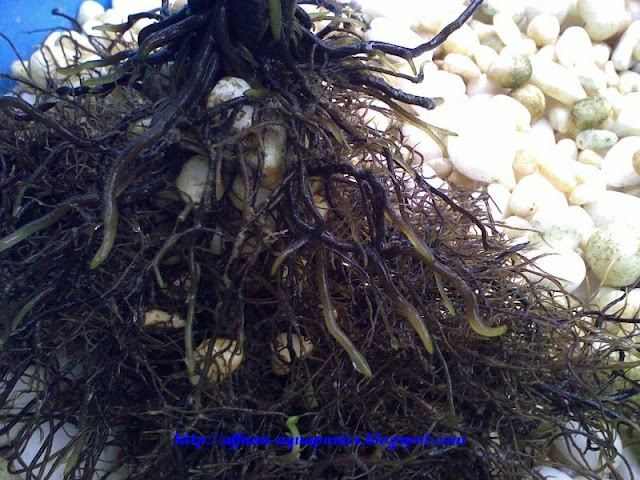 Another way to grow fern are from the roots itself. 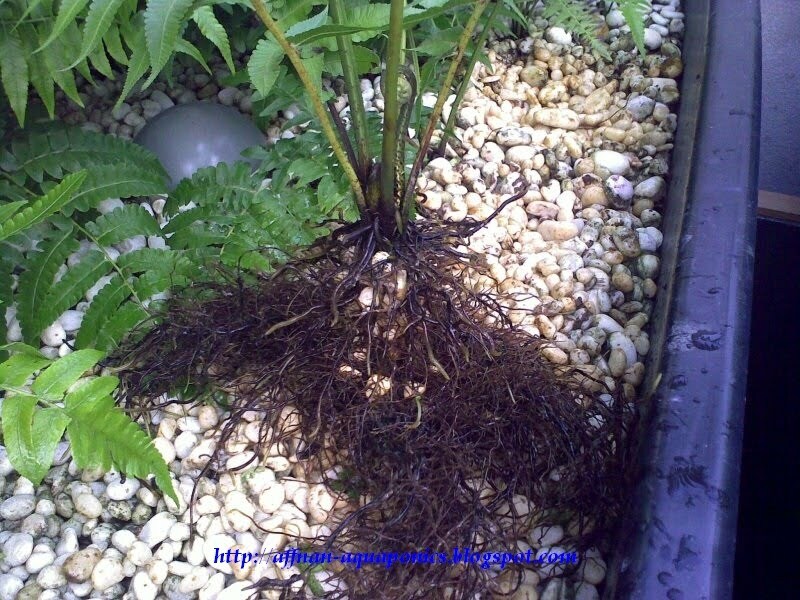 Cut those roots and sow them in the growbed, with time they will form Fern and this usually happen after I remove all fern from growbed, the roots left behind will sprout new Fern. It will takes longer for Fern to mature from roots as compare if you use Fernlings, but its so much easier to do. 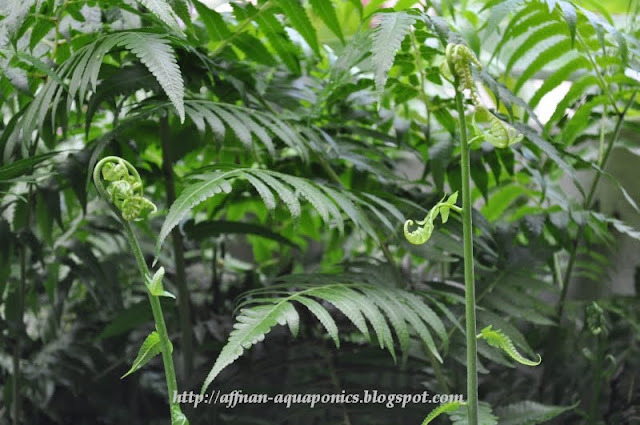 Normally it took about 45 days from Fernlings to full mature Fern. Other than roots and whole Fern use for planting Spore Propagation is also a method of growing, however this method of Fern propagation is better leave it to the expert in this field. Note : I don't know what to call those "Baby Fern" other that Fernlings, I think its not correct. 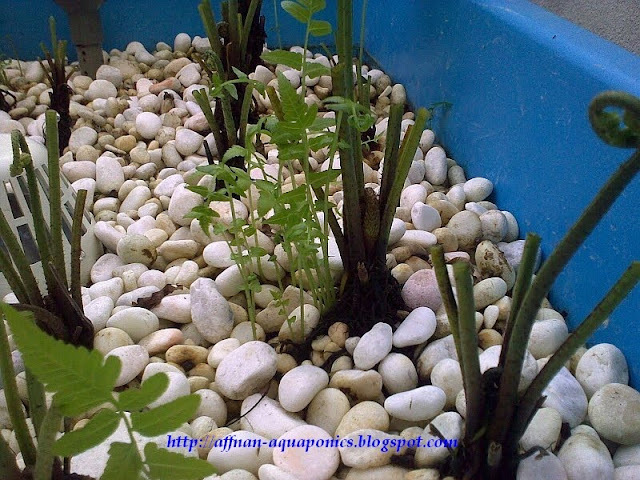 Many more Ibrahim, but I'm reluctant to send plants material via post/courier it may be illegal. REA, tiada masaalah. Penanamamnya mudah. Ada 3 cara, .1. DEngan ambil anak pokok dari hutan. 2. Mengunakan akar. 3 Spora. Cara 1 dan 2 mudah, cara spora saya tidak galakkan kerana sukar.